Hyperloop One, which aims to fulfill the vision of high-speed transportation promoted by Elon Musk, has signed a deal to develop a line between Dubai and UAE capital Abu Dhabi, Dubai reportedly announced this week. No financial terms have been disclosed, but the project reportedly will have several stations throughout Dubai connecting the hyperloop system to Abu Dhabi. Pods will carry passengers and cargo between the two. Dubai's government-backed port operator, DP World, reportedly also has signed an agreement with Hyperloop One to look into using the technology at its industrial Jebel Ali port. Dubai last month announced a competition inviting participants to present design plans for a hyperloop track between various airports. SpaceX, helmed by Musk, is building a mile-long test track for hyperloop pods in California. Hyperloop One, which is constructing a test track in the Nevada desert, this spring demonstrated a mag-lev Hyperloop sled that ran for 100 yards or so. [post_ads]Musk proposed the hyperloop concept as a way to bring high-speed travel to California. A hyperloop journey between Los Angeles and San Francisco would take about 30 minutes. SpaceX also has a Hyperloop competition under way. An MIT team won the first round in February. Abu Dhabi and the Emirates "would be a good choice, because the Emirates are willing to spend exorbitant amounts of money on a project like this," said Jim McGregor, a principal analyst at Tirias Research. "Doing this in the United States would be a political disaster, because the final cost is likely to be exponentially higher than the original optimistic estimates," he told TechNewsWorld. Investment documents indicate Hyperloop One plans to raise up to US$250 million in its next funding round early next year; it reportedly raised $50 million last month. The cost of the Hyperloop One projects could exceed Musk's original projections substantially, based on internal estimates in company documents, but Hyperloop One has forecast huge profits for itself and its partners. When Musk floated the hyperloop concept in 2013, he estimated that a route between Los Angeles and the San Francisco Bay Area would cost about $6 billion. That figure raised doubts from the get-go. Among those opposed to Musk's concept and critical of his estimates are proponents of a $68 billion high-speed rail project that has been years in the making. Regulatory and other issues also could have driven the hyperloop project abroad. "Here in the United States, a project has to be competitive with other forms of transportation -- and there many alternatives," observed Michael Jude, a program manager at Stratecast/Frost & Sullivan. 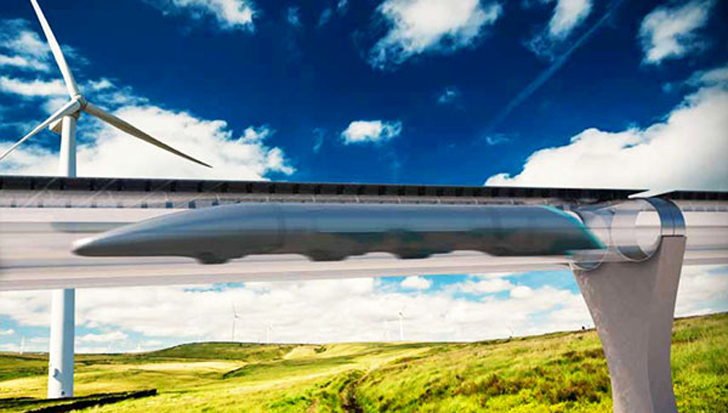 [post_ads]U.S. regulators haven't a clue how to deal with the hyperloop, he told TechNewsWorld. Further, safety is an issue, because "you've got this thing going at marginal supersonic speeds 20 feet above ground, and if a truck or something ran into one of the supports and damaged or knocked down a tube, you've got a ballistic missile," Jude said. "The liability is going to be unthinkable." Such projects must be cost-justified in the U.S., which might be difficult, he suggested, and there is also the specter of terrorism. There are no markets outside the U.S. that would support a hyperloop, Jude maintained. "This is a solution looking for a problem," he said. It's hideously expensive, and it's a great terrorist target."